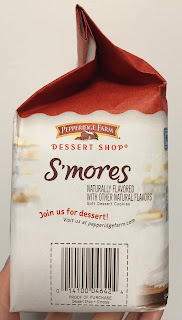 We found new snack called Pepperidge Farm Dessert Shop S'mores at the supermarket. 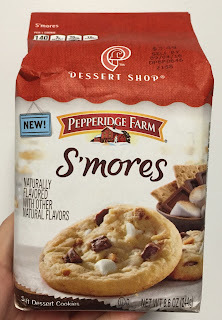 Dessert Shop is a line of Pepperidge Farm, and this is s'mores flavored soft cookies. 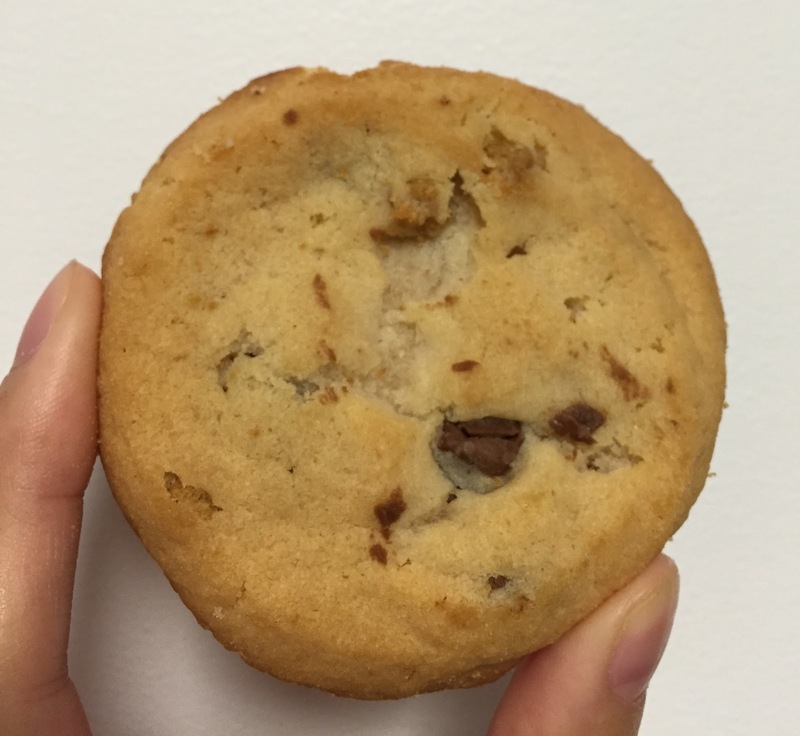 The cookies inside were broken though I brought back carefully. 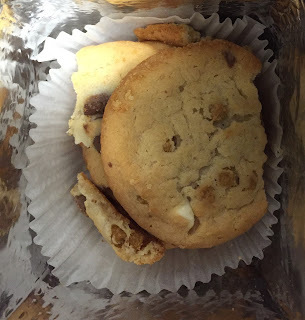 Some cookies kept the shape well. 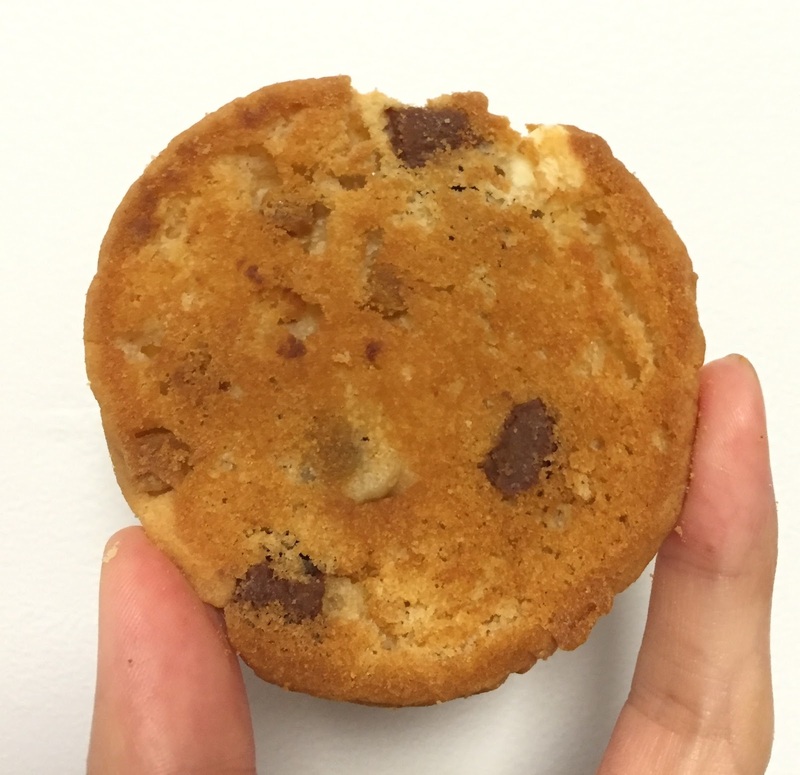 Bottom was darker then the top. 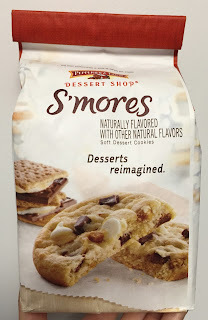 S'mores consists of graham crackers with a chocolate bar and a toasted marshmallow, and I was expecting that flavor, but there're chocolate, white chocolate and caramel chips without marshmallows or graham cookie flavors, and it's just a "chocolate and caramel cookie." I was very disappointed at this cookie, it's not s'mores at all.